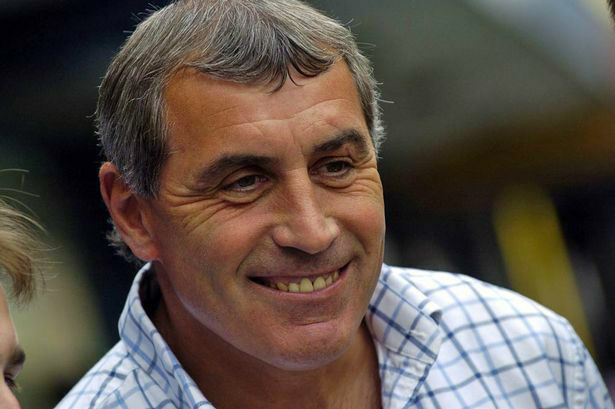 Former English footballer, Peter Shilton, was born on September 18, 1949. He holds the record of playing the most games for the England men’s team to this day and has earned 125 caps in his career. He was also ranked in the top ten goalkeepers list by the IFFHS. In his career he has played for 11 clubs and has made over 1300 appearances. He represented England at UEFA Euro 1980, 1988 and the FIFA World Cup 1982, 1986, 1990. Shilton has made an appearance in 17 final matches and has a record of 10 clean sheets. Shilton has two sons, Michael and Sam. Sam is a professional footballer. He started playing schoolboy level with Leicester Club at the age of 13 in 1963. Gordon Banks helped him enter the first team. Four years later Shilton forced Banks to leave the club over a dispute. He made his debut with Leicester at 16 years of age. He also managed to score a goal from one end of the pitch to another against Southampton in 1967. In 1970, he played his last FA Cup final against Manchester City. After Leicester’s relegation, he played at second division and still grabbed the attention of the England manager. Shilton was given his debut against East Germany in 1970 with England and six months later Leicester to back in first division soccer. At the age of 22 he was regarded as England’s number two goalkeeper. In 1972 he became England’s number one goalkeeper because of an accident that ended Gordan Bank’s career. In 1973, he kept clean sheets against Northern Ireland, Wales and Scotland. Shilton went to Stoke City in 1974 for £325,000. Ray Clemence and Shilton were fighting for the top spot in England’s team while Leicester city missed out on the league title. He appeared in all Leicester matches in the 1975-76 season. In 1976, Manchester United bid for Shilton but due to Shilton’s wage demands the transfer wasn’t possible. In 1977, after stoke was relegated, he was sold to Nottingham Forrest. Nottingham won the Football League Cup during Shilton’s first season there but Shilton didn’t play because he was cup-tied. He, according to critics, made his best save, in a draw, against Coventry City. He won the PFA Player of the Year award that season. With new coach for the England team, Shilton appeared in almost every game. Nottingham won the League Cup again in 1979 and Shilton played this time. Next season Nottingham again reached the final of the League Cup but lost to Wolverhampton Wanderers. The club then reached the European Cup final, in 1980, where they defeated SV Hamburg. At the same time Shilton earned his 30th cap with England. Things declined from here on forth, the club lost their form and Shilton had a gambling addiction. He left Nottingham in 1982. He joined Southampton. Shilton’s career with the England team flourished as he went on to earn his 70th cap in a match against Scotland. He also broke the record of Banks after appearing in 80 games for England. At the 1986 FIFA World Cup, Argentina played against England where Maradona scored the goal, over Shilton’s head, by punching the ball. The referee allowed the goal and Maradona later said the goal was scored by the Hand of God. England was out of the tournament later. Shilton got his 100th cap against Netherlands. In 1989 he broke the record of England’s Bobby Moore of 108 appearances after earning his 109th cap in a match against Denmark. He retired, from international football, four months after his 20th international debut making his international career one of the longest. In 1992 he became a manager for Plymouth Argyle. He played his thousand league game in November 1996 against Brighton and Hove Albion. He retired by the end of 1996, at the age of 47.